The Learning Commons has been in operation for two full years already, and it holds more potential for stu­dent involvement than it is actually used for. The Last Chapter Pub is the primary location on cam­pus for student involvement with it hosting an array of activities almost every day of the week. The ACC build­ing is also another location where groups tend to hold certain events. These places are open, popular for hangouts, and just prime locations for events to be hosted. Why, then, is the café section of the Learning Commons, an area with all these quali­ties, not utilized for regular events? Bill Mayer, the new and current Dean of the Library, agrees that the Learning Commons area should be a more active area for student involvement. Students frequently go into the Learning Commons café area during the day, but activity seems to drop as the evening comes around. It seems like the perfect time and space to host any sort of event from a comedian to a late night movie. Especially with the fire­place in the winter time, it is a perfect place for students to warm up, get a coffee, and maybe enjoy some form of entertainment. 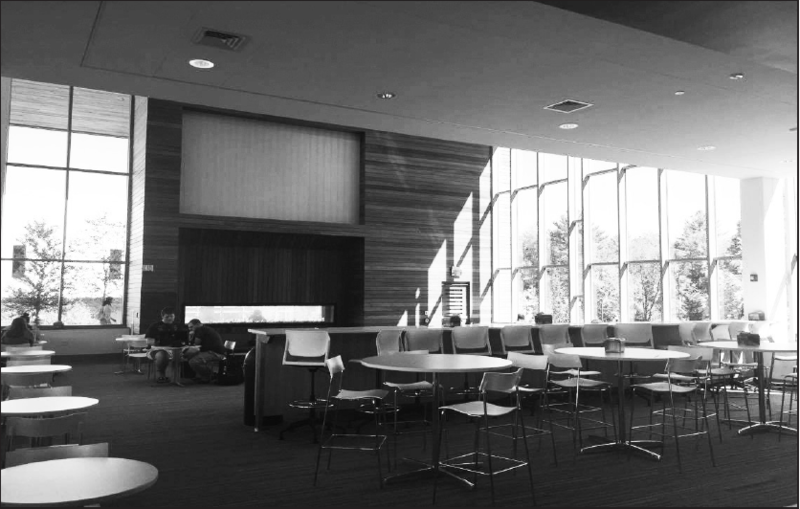 According to Mayer, other than the University Library website, there is no official form for students or faculty to leave reviews or suggestions, so they have no effective way of knowing how students would want the Learning Commons café to be used. 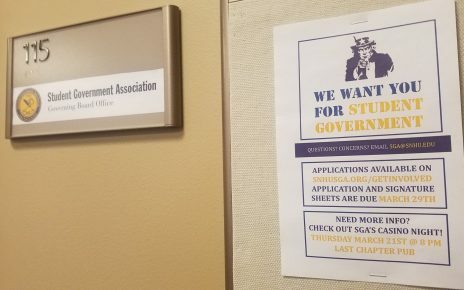 Mayer is up for sug­gestions, and we, as students, shouldn’t pass up this oppor­tunity. With this extra space to host events, we would be able to have double the events. If a club wants to book an event in the pub on a certain date, but it’s already taken by an­other club, they would be able to host their event that same date and time in the Learning Commons. Of course, there would need to be limits to what can be hosted in there as it is still attached to the library, but it would still open up the opportunity to host extra events on campus.